Can you believe that there are less than two months until WonFes already!!? Everyone in the office is already busy with preperations… I’m also hoping the Milky Holmes will so a performance again! I’ll be answering some email from my inbox! I’ve also been getting a load of opinions from twitter recently, but I still think email is a great way to send in your thoughts. I can’t reply to everyone’s tweets and mails, but I promise I do read them all! I’m a frequent reader of your blog, and I was wondering if Nendoroid KAITO was going to go on resale again at any stage? I didn’t manage to grab him during the last resale, so I really hope I’ll get another chance. Good Smile’s figures are always so cute and awesome that I’m buying too many… I’m running out of space on my shelves! I must say that one of the figures that I really want as a female collector is Kaito-nii-san! 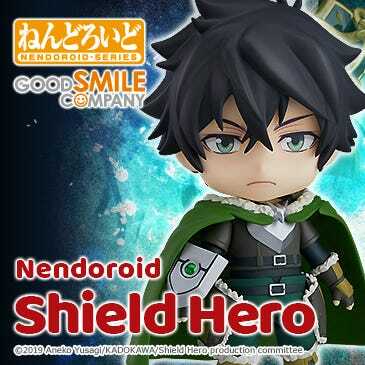 Apparently there is going to be an append version of him, so I hope I can grab him then. I also hope we can see a big scale figure of Kaito one day as well! I’ll be waiting to put my order in! There was way more mail similar to these two… it seems KAITO really is popular with the ladies! Nendoroid KAITO is currently being considered for resale! It’s nothing solid yet, but I think there is a strong chance that there will be a resale soon. As far as a scale figure goes, there are no plans for one at the moment, but Advent Miku has just gone up for preorder – she is definitely worth the buy! I was really looking forward to my Nendoroid Masamune Date and it was well worth the wait – I love him!! 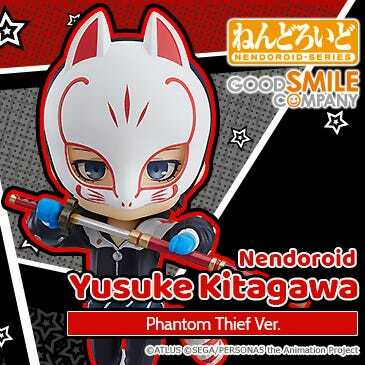 I’m sure there are a lot of things that get in the way, but I hope that I’ll see a Nendoroid Sanada Yukimura soon!! There were also a load of mails like this one! Phat! Company is currently hard at work on this one! It’s definitely making progress, so just wait a little longer! Hi there, I’m a relatively new reader that just recently got into Nendoroids – at the moment I only have one – Kirino Kousaka, but I do have Kuroneko on order and I’m sure I’ll be picking up more soon. I hope to see some more Sora no Otoshimono Nendoroids coming soon, like Nymph and Astraea! 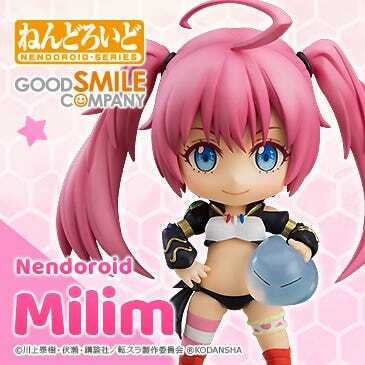 A Nendoroid of Nymph is coming to accompany Ikaros! She’s still undergoing some changes but will be up on the GSC site soon – I’m sure I’ll get a review on the blog soon as well! Hi there! I’m a fan of the blog and hope to continue reading it for some time to come! A little while ago at Lawson’s K-ON! Fair, there was a Lawson & TBS Limited Edition Nendoroid Petite set featuring Yui, Mio and Azusa – and as stated on your blog, it included stands for five characters. My question is, are there any plans to create Nendoroid Petites of Mugi and Ritsu to complete this set? Or did I perhaps miss the time they were on sale? I can’t bear not completing the collection! The original intention of including the five stands with the set was so that you could display other Nendoroid Petites with the three girls – from the other set of K-ON Petite Nendos! I am really impressed with Good Smile’s charity products. On the other hand, those up North near the coast suffered incredibly. I don’t think there is any way to experience what those people are going through at the moment. We can look at the destruction on the TV and internet, but at the same time we are all just continuing our normal lives – which I for one am very glad for. I know there are not many people who will go out and volunteer to help, so it’s great to be able to give in some donations via Good Smile. Hi there. I am a Nendoroid newbie – I started collecting about one and a half years ago. When I think about the people who live near the epicentre of the recent earthquake, I can’t help but think about how much trouble they must be going through now. I think that figure collectors really suffered during this disaster – I do wonder how many Nendoroids were lost during the quake. The region I live in was struck my the tsunami, almost washing my house away with it, along with my favorite place to take photos with Hachune Miku. Fortunately my family was able to escape the tsunami, and the house was left, albeit not in a very good state – there were power outages for a few days and a gas shortage, but thinks have started calming down now, so I decided to send a mail through to you. Taking a look at my Nendoroid collection broken up and covered in scratches… I almost burst out crying. I had been collecting Nendoroids even before I was married – they were like special memories to me, and I don’t have the will to buy them all again – I am simply going to keep the scratched up versions and love them as I always have. It’s amazing how much happiness can come from playing with Nendoroids for a little bit. 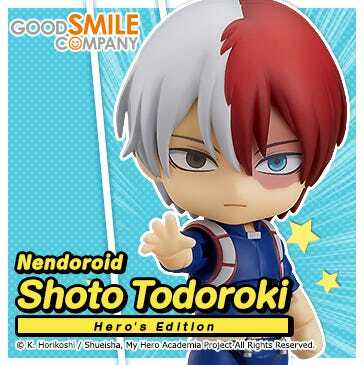 I’m certain there are many just like me who have been struck by disaster and are suffering a lot more, so I will be happy to purchase Good Smile’s charity products. I’m also really glad that I can read Miktan blog again now – it really brings my spirits up!! Eastern Japan is just fine, it’ll get though this stronger than ever. People over here are patient and strong – they’ll make a come back. I’ll be back with more beach-side photos eventually, and I’ll send them through to you once more! 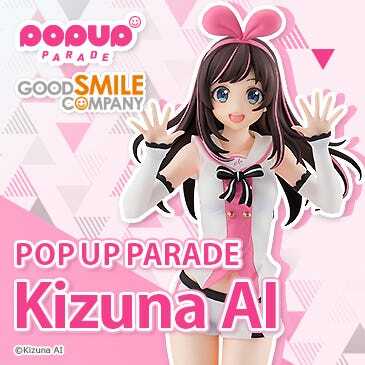 For those unaware, Good Smile Company has started a collaboration project between figure makers to release charity products to help raise funds for relief efforts in Eastern Japan – the title of this project is ‘Cheerful JAPAN!’. I have recived lots of mail relating to the disaster, and I’ve carefully read each and every one of them. As a fellow figure lover, I really feel sorry for those who lost their beloved figures in the disaster, such as Mokosuta. I hope that we can make some new figures that you like in order to build up a collection once more! That’s when I remembered the D.I.Y figure repair tutorials you put up on the blog, grabbed some tools and started the surgery! It really was such a simple task – even a girl like me could do it – KAITO is just fine and back to normal! Now I can keep my beloved original KAITO by my side a little bit longer! I am writing to thank you for the figure repair tutorials that you put up a while ago! I was thinking of just fixing it using glue at first, but then I saw the joint repair tutorial you put up on the 25th March using a brass wire to strengthen the joint, and decided to give it a try. I was really scared when I was creating the hole with the pin vice, but it ended up a lot easier than I expected! Next up I hope we can get a tutorial on some way of stopping them falling down in the first place! I want to protect my cute daughters! I’m glad they were at least useful to somebody! Hello! I’m a second year female high school as of this April! I’ve become addicted to Nendoroids from about two months ago, and I never knew until now that you had a letter corner! I was reading through all the old entires and found them to really interesting – but I thought the corner had already ended! At first I always used to collect figma and big figures, but I always thought that Nendoroids seemed expensive for their size – but when I found the Love Plus Manaka Nendoroid I just had to get her. That’s when I found out how cute they are! In just a short time I’ve quickly amassed a small collection of 18 Nendor- I mean wives. I also have Totori, and three Snow Mikus on order! Plus I will get Nendoroid Cirno no matter what! A second year high shcool student? Are you enjoying your school life? They’re some of the best years! Make sure you have lots of fun! I am a fifteen year old girl who has been collecting figures for one year now. This is my first mail, so I’m a bit nervous, but I really look forward to Mikatan blog’s update every weekday! I hope you’ll at least take it into consideration. My favorite figure… well there are just too many…. but if I absolutely had to pick one, it would be the BRS scale figure: Original ver, I think. The details are simply outstanding. I wish I could make figures like that. It seems we had a lot of mail from girls this time around! I’m not picking them just cause they’re girls, I promise! My favorite figure is this one! It’s actually a gachapon figure from Kaiyodou, but the details are really nice! Ever since I started working at Good Smile, it’s been sitting on top of my monitor. This photo was tkaen by Jii-chan from the web team! Thank you! Hello! I’m an everyday reader of your blog! 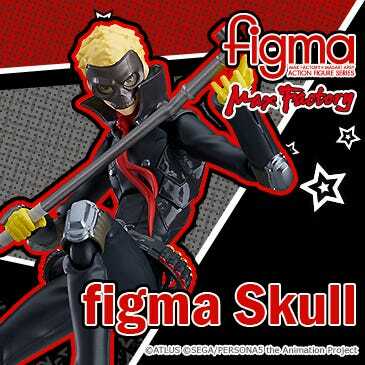 I noticed some of the most recent figures are made using 3DCG which is incredible, but I was just wondering – are the prototype figures generally made by hand? I’d love to see what kind of tools the pros use when sculpting figures!! A lot of the sculpting starts off digitally now, but the final touches always require some manual work by the sculptors! I must say you’ve intrigued me to take a look at what tools the sculptors use to do their amazing work – I’m sure I’ll be doing a blog entry that takes a look at the tools soon – look forward to it! There hasn’t been any 1/8th scale figures of Luka-nee-san, have there? Speaking of legs, Nadeko’s were also incredible… as well as the details on the stand! I respect them just as much as you do! But there are a lot of people at GSC who are tierd out every day. xD Thanks for the read! The special included with the BRS game, ‘WRS’ – how is it pronounced? WRS is for White Rock Shooter! Hello there Mikatan-san! I’m a girl reader, A~ya! I was most surpirsed when you announced Nendoroid Prince on your blog the other day. I never expected Togashi-san’s works to become Nendoroids! 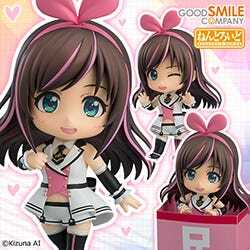 I was also quite surpized when I heard about the Nendoroid! I hope he sells well, then we can see about whats in store for the future! I really do! A long time ago you did a series of blogs involving creating the creation of molds for figure reproduction. I made up my own vacuum air removal machine and decided to give it a go myself. (I had a lot of spare time as I recently lost my job). I decided to mail you the results of my homework. I didn’t want to link directly so I made up an image! The thing that is most bizarre is that homemade vacuum air removal machine! That’s a bucket! No matter what you say!! This is really incredible though!! To use Lego blocks like that… really incredible! Anyone else interested in figure production, you should try too!! Congradulations on your 10th anniversary, Good Smile Company! It’s so hard to get a nice look at the figure displays at places like WonFes and there are so many people wanting to look! I’ll never stop cheering for GSC – you guys always bring a smile to my face with your figures! I send my applause and thanks to you all! I look forward to the next Wonfes! As soon as I entered, I was greeted with all the Nendoroids from the past, a tower of macroons and Aki-shachou and Mikatan in person! It was an absolute treat for me!! On top of all that I also got some lovely goodies! It was like a dream! Thanks for thinking of the fans when you decided to have the 10th Anniversary party!! And thanks for all your hard work over the years! happy 10th anniversary goodsmile company ! ! Thanks to everyone who sent in images and comments reguarding the 10th anniversary! Plus the last illustration seems like it came from overseas! Yay! It’s probably not really my place to say – but the reason we made it to 10 years is without a doubt thanks to everyone who supports us, and I hope we will be able to continue to meet everyones expectations! I hope you’ll continue to support us forever more!! Anyway, that brings the 52nd Kuroyagi-san’s letter corner to an end!